Scientists have wondered for decades why marine animals that live in the polar oceans and the deep sea can reach giant sizes there, but nowhere else. University of Hawaiʻi at Mānoa zoology PhD student Caitlin Shishido, with UH researcher Amy Moran and colleagues at the University of Montana, went to Antarctica to test the prevailing theory–the ‘oxygen-temperature hypothesis’-that animals living in extreme cold can grow to giant sizes because their metabolisms are very slow. The animals they studied were sea spiders, marine relatives of land spiders that breathe through their legs. 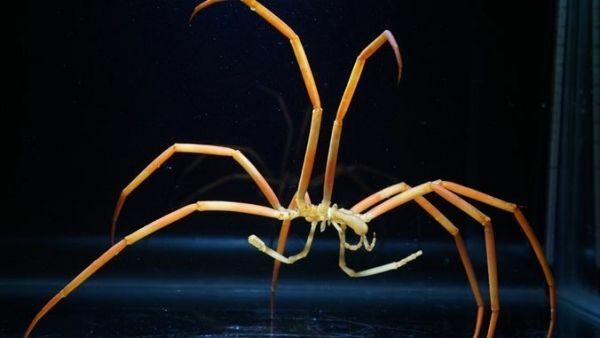 Photo: Giant sea spider, Colossendeis robusta, used in the thermal tolerance righting assays in experiments done by Shishido and colleagues at McMurdo Station, Antarctica. Photo by Tim Dwyer, courtesy of ARCUS.